India is home to a great wildlife population; India/ Indian wildlife tour highlights the diverse wildlife in India. 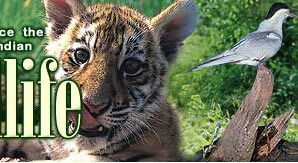 Explore the Indian wildlife on India wildlife tours! The vast geographical expanse and diverse topography and climatic conditions combine to make India a wildlife haven. The Himalayas, the Gangetic Plains, the Thar Desert, the Deccan Plateau, vast coastal areas and the North East regions of India are known for their unique and wonderful plant and animal life. With more than 89 National Parks, 489 Wildlife Sanctuaries and 13 Biosphere Reserves, India's wildlife is truly incredible and fascinating. Like its wonderful culture and heritage, wildlife in India is simply unparalleled. India is, thus, home to a rich variety of flora, fauna and avifauna that includes over 550 mammals, 30,000 insects, 2000 species and sub-species of birds and over 500 species of reptiles and amphibians including the deadly king cobras, pythons, crocodiles and monitor lizards. The majestic elephants, the prowling Bengal tigers and the Kingly Asiatic Lions are all part of the rich Indian wildlife. 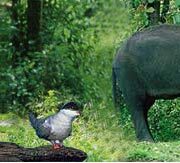 The Indian wildlife entices the wildlife enthusiast and adventurer in you to explore the wild jungles and forests of India on India wildlife tours. As you explore the wild, you get to spot the majestic tiger prowling in the jungle and elephants and rhinos making their way through the wilds and National Parks. You will also come across amazing animals on wildlife safari tours in India. The wildlife safari tour in India is sure to awaken the wildlife photo enthusiast in you and you can click your favorite animal in the wilds yourself! Our India wildlife tours offer unforgettable adventure and nature tours that you can relish forever. 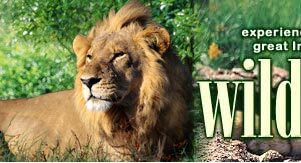 As an avid wildlife lover it is expected of you to help protect the endangered species and endeavor to strike a balance between ecology and tourism and preserve the precious natural heritage for posterity!